This ad is an example of what contemporary interior design looked like in 1978. The ocean scene in the background was most likely supposed to be an outdoor mural wallpaper scene that took up at least one wall of the room. 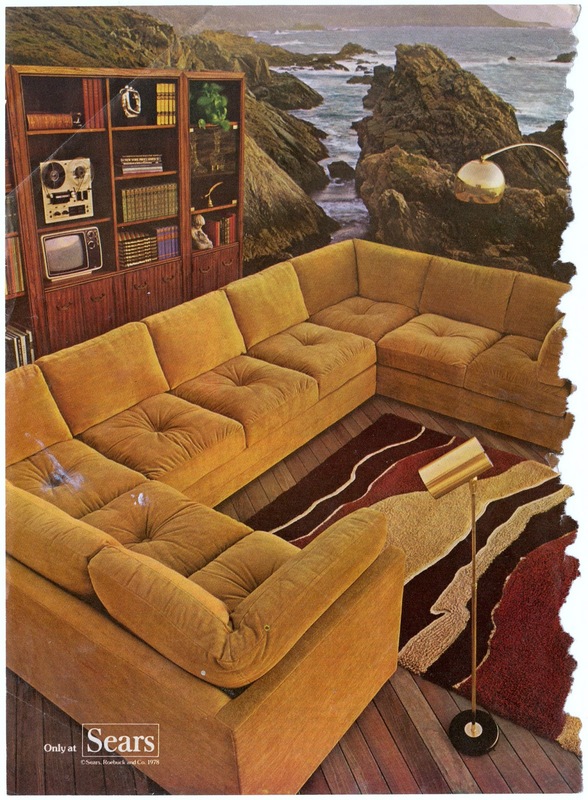 The conversation-pit couch appears to be upholstered in a harvest gold velvet, velour or mohair. Notice the reel-to-reel tape deck in the entertainment center and its size relative to the television set.